BCC Distribution offers a Voice-based solution to further optimize your inventory control process by enabling a hands-free approach. 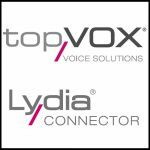 Voice-based applications, working hand-in-hand with mobile devices, enable users to receive work instructions via voice in their headset, confirm work steps via voice input, as well as utilize other forms of input if and as required. This includes manual data input via keyboard entry, barcode scanning and RFID data collection. Contact BCC Distribution to review how adding a Voice solution to your inventory control system can add efficiency to your operations.